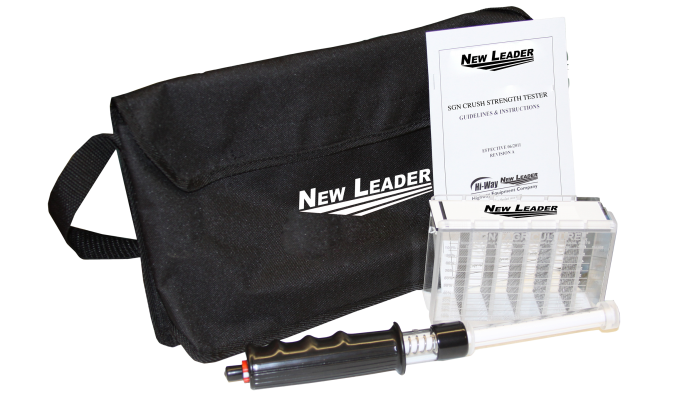 Growers and commercial retailers trust New Leader to keep them at the forefront of productivity, getting more done with less every day. 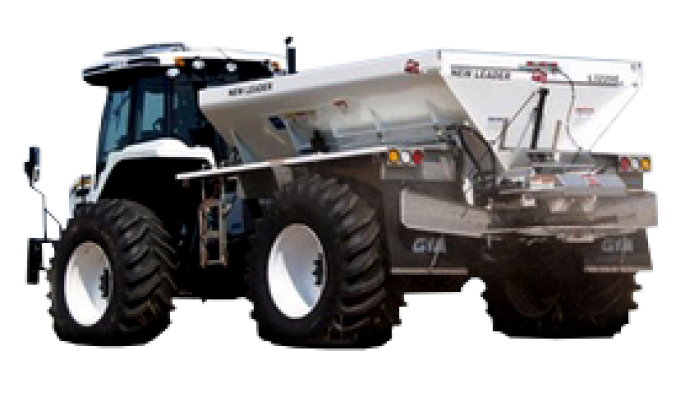 The New Leader G4 spinner spreader revolutionized the crop nutrient application industry with its wide, consistent spread pattern, and the MultApplier and MultiBin changed conventional thinking by giving applicators the power to apply up to four products in a single pass – cutting time, labor, compaction and fuel. 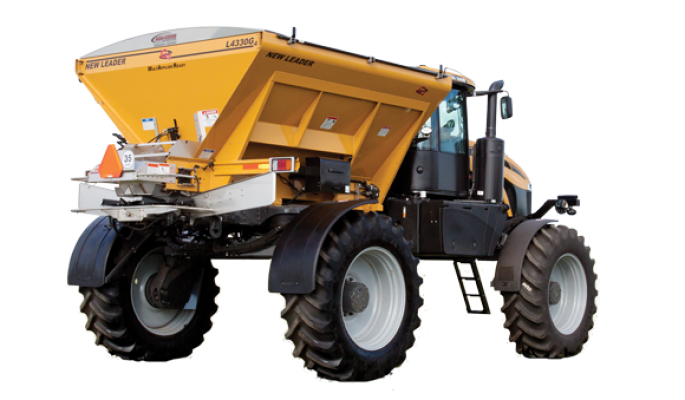 New Leader is the only spinner spreader endorsed by RoGator® and TerraGator® – and there’s a reason. 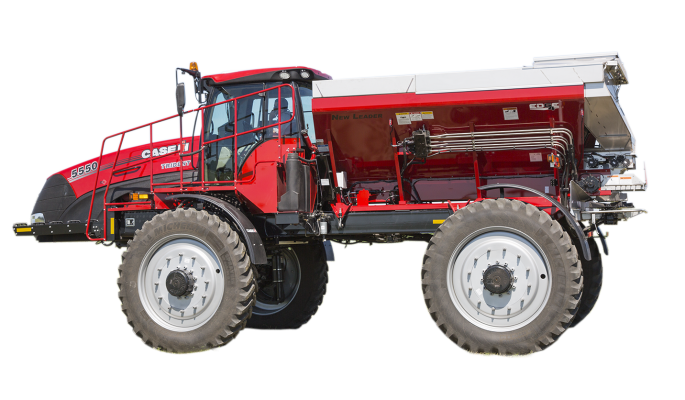 Just like AGCO equipment leads the way for accurate and efficient nutrient application, New Leader works to help operators leave no yield behind. As a proud AGCO partner, we’ve developed an array of versatile, easy-to-use combination dry box spreaders that seamlessly pairs with RoGator and TerraGator products. Apply like a pro, with AGCO and New Leader. Tough terrain demands Titan™ prowess – and operators are powering through with New Leader products to get more out of their Case IH equipment every day and every season. Only New Leader is endorsed by Case IH – for good reason. We’ve partnered with Case IH to bring together Titan floaters and revolutionary G4 variable rate broadcasting technology to spread material faster, wider and more consistently – even in the toughest conditions, red and ready. Nothing powers through acreage like John Deere and New Leader – this partnership runs on productivity. Total solutions for R4030, R4038 and R4045, leveraging revolutionary New Leader G4 variable rate broadcasting technology to spread material faster, wider and more consistently. 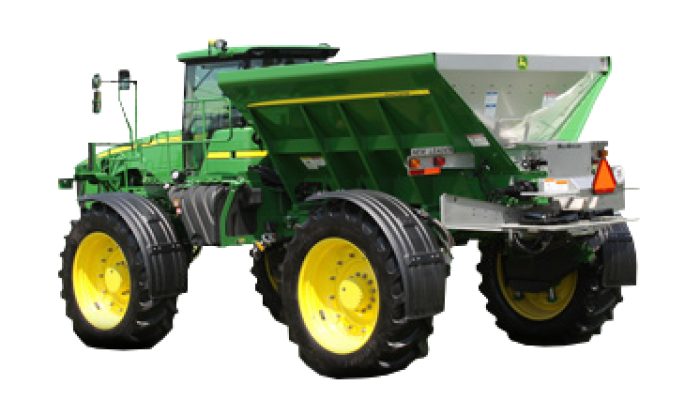 For spreading ag lime, fertilizer or compost, on drawn dry boxes, trailers or spreaders, add revenue, not machines. How do you make a workhorse stronger? With the power of flexibility and dependability, New Leader-style. As a proud GVM partner, we’re on the hunt to help operators cover more acres with the Prowler. 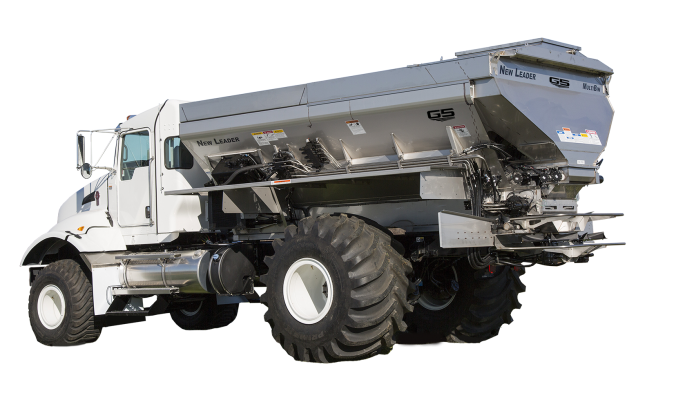 By combining GVM functionality with New Leader technology, we’re answering and anticipating operator demands for precise, consistent spreading in any conditions. When flexibility matters, this partnership is built to last. We’ve taken the perfect combination of power and agility and pushed it even farther in our partnership with RBR Enterprise. 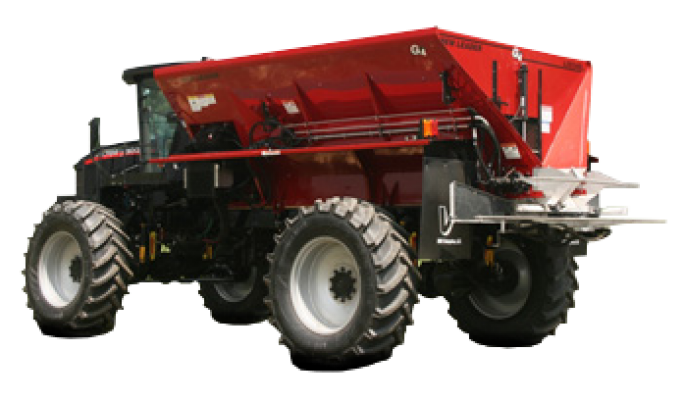 New Leader is RBR’s choice for dry fertilizer spreaders – a staple of their offering. Engineered specifically for the Vector 300, the latest New Leader spinner technology more than delivers on operators’ exacting demands. Cutting-edge G4 variable rate broadcasting spreads material faster, wider and more consistently. Together we’re setting the bar. Successful application takes more than functionality – it takes precision tools to take business to the next level of productivity. That’s why New Leader partners with the industry’s most innovative technology purveyors, helping retailers and growers transform their operations every day.